The numbers of species seen, and the greatest number of each while I was watching this past weekend, were respectable for a mid-winter weekend. Woodpeckers, Carolina Chickadees, Juncos, House Finches, Titmice, a Carolina Wren, Mourning Doves, and White-Breasted Nuthatch were reliable visitors, but the highlights of the weekend were three. For the first time in a month, The Brown Creeper was back, scurrying up the Dogwood and the Sassafras looking for insects. Have you ever noticed how the Brown Creeper only goes UP tree trunks, unlike the White-Breasted Nuthatch, which goes up and down? 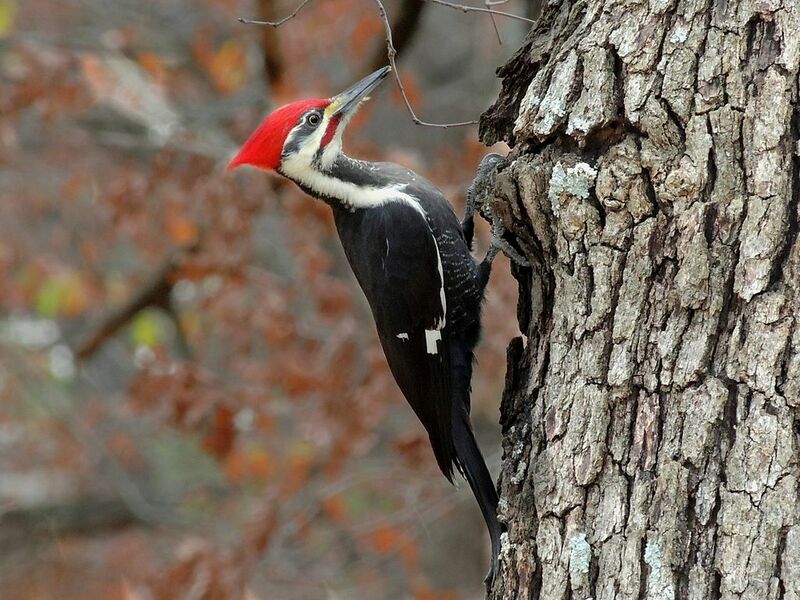 I took a break from my normal observation point and was in the back of the house when I looked out at the backyard and saw a Pileated Woodpecker (!!!) on our Sasssafras… I scooted back to get my glasses for a closer look, but it was in vain as he had left….still, it’s a hopeful sign because we had seen two of them on our Dogwood tree near the suet in March last year. Feeder Watch has more than one observation post in Ewing, and we’re delighted to have made contact with a watcher in the Brae Burn neighborhood, who is also a member of the Washington Crossing Audubon Society. When you compare what we’re seeing in Mountain View, to what’s seen in Brae Burn, there are some birds in common: Mourning Doves, Downy Woodpecker, a Junco, Chickadee, a White-Throated Sparrow and House Finches. But they also reported 45 Common Grackles, 25 European Starlings and seven House Sparrows, most of which were seen on Saturday. Those are birds that have been seen, but not with any consistency, in Mountain View. While we may see Starlings and Grackles two or three times a season, House Sparrows have only been seen once or twice in eleven years.